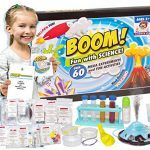 JUMBO SCIENCE KIT FOR KIDS – The kit allows your young scientist to explore, learn and have great fun with their very own science kit. 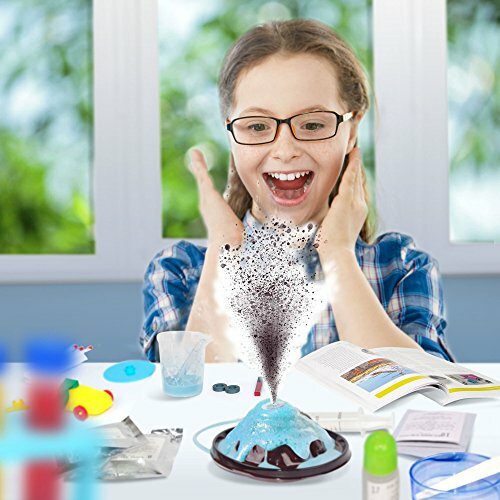 Because of the huge number of amazing experiments with this science kit your children will have many, many hours of educational enlightenment to delight all boys and girls. 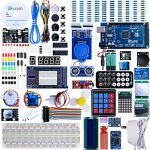 Do you want a Jumbo science kit for your child, that is complete with everything they need for each activity? 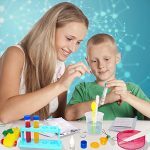 This enormous science lab kit comes packed with a huge array of experiments and enjoyable activities. 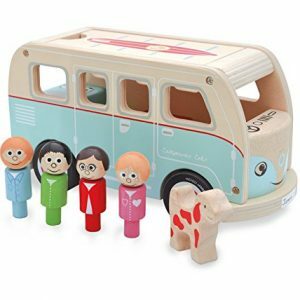 More than 60 activities to excite your little scientist including, the Sprout Garden, where children will be amazed as they see plants sprout and grow. There’s also the Slime Lab, where children can easily make their very own Slime! Then there’s the Rocket Balloon that all kids love, as they watch their newly created rocket fly! Creating crystals in the Crystal Lab and of course they can make the mind blowing Volcano erupt and much more. All Apparatus, Ingredients and Chemicals included With this great set everything needed to create ALL of these experiments is included in this fabulous Science Kit. 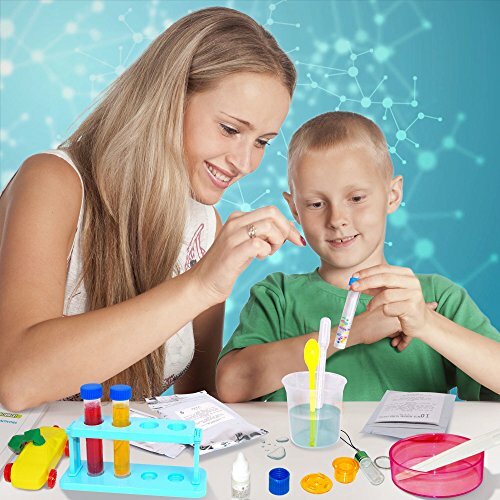 Test tubes, powders, beakers, tweezers, balloons, propellers, model volcano, ingredients, syringes, funnels, tubing and much more, 55 pieces, everything all neatly packed individually into the mini lab. 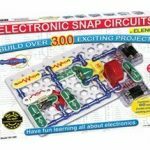 With the easy to follow, step-by-step DVD and color manual, children will find it easy to create all of the 60+ experiments and activities. Watch and see their delight as they explain what they are going to do and show you how they create it, all thanks to the easy DVD, with clear, easy to follow instructions and demonstrations indicating which tools and ingredients are needed for each activity, experiment. Not completely satisfied? We’ll make it right, no questions asked. 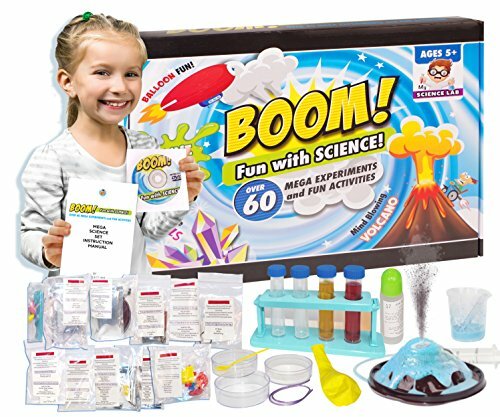 All of our products have our 30-day return policy which means you can experience your new science kits for kids completely risk-free. 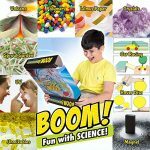 Click the, Add to Cart, button now and see how this awesome science set teaches your child, while they have immense fun experimenting. Click the, Add to Cart now with our current promotion. 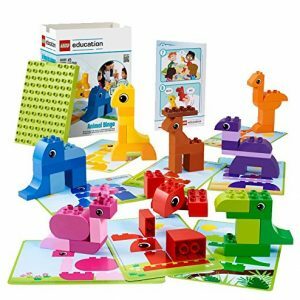 LEARNING BY PLAYING – MagBuilders are designed to teach children STEM skills: building, geometry, mathematics and creativity. 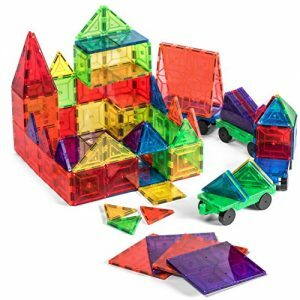 Children can acquire strong sense of color, geometrical shapes including 3D forms, numbers counts, magnetic polarities & architectural design at early age. 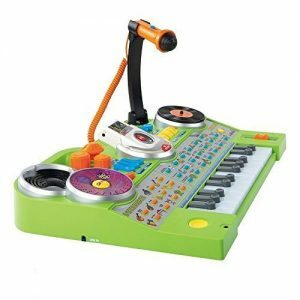 DESIGNED FOR KIDS – Magnetic Set includes 4 Magnetic Cars to unleash childrens creativity with building trains, cars, trucks, rocket launchers and more! 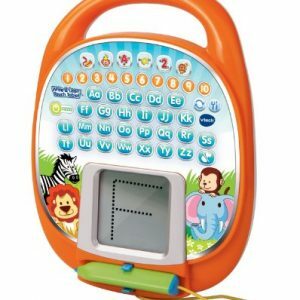 Let your kids creativity run wild!